Mirova Eurofideme 3 is a renewable energy infrastructure fund, totally dedicated to investment in clean energy. It invests in projects that produce energy from renewable resources (onshore wind, photovoltaic, hydro and cogeneration from biomass combustion) in Europe, both for future projects and those already in operation. It is the 3rd generation of Renewable Energy infrastructure funds developed by Mirova, which over the past 10 years has allowed the financing of 730 MW of new generating capacity and helped avoid 1.4 million tons of CO2 emissions. 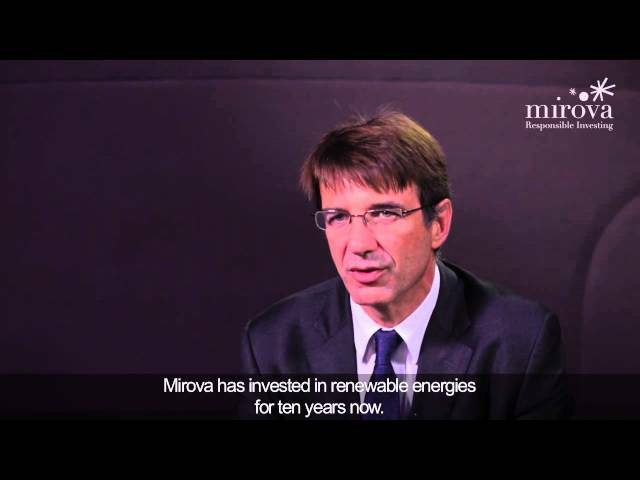 Environmental Mirova Europe Equity Fund is a thematic equity fund. It invests in shares of European companies that are positively exposed to environmental issues. The management team favours shares that provide innovative solutions covering three major themes: energy efficiency, food production cycle and water management. These companies have sustainable business models and create long-term value. (1) Source : Mirova – 32/03/2016.